Many of us in this church have strong ties to our seminaries in Waterloo, Ont. and Saskatoon, Sask. I’ve been watching our feature article unfold for over a decade. It’s been a very difficult and challenging time for seminaries across North America. They have struggled not only to survive but also to figure out how to respond to emerging challenges of helping future pastors and diaconal ministers to shape and hone the knowledge and skills they need for ministry. Those responsible for our two seminaries have met those challenges. Both institutions are responding in creative and innovative ways that hold promise and hope for the future of our church. This is not a new process. The needed ministry leadership for people of faith has been developed and redeveloped for each era. Each generation has found ways to pass the faith on to the next. When I was a college student, one of my summer jobs was to help prepare for the demolition of old Willison Hall in Waterloo. It had been the first home for the seminary for many years. Nearby stood the new seminary building. My parents were among many who sacrificially gave the funds needed to build it. Somewhere in the picture of its dedication you will find me as a young boy in the crowd, unaware of the future influence it would have on me. When I attended seminary in Waterloo, 50 years ago, there was ferment to make the place “relevant” to the needs of the day. The faculty was patiently exploring new ways of pedagogy. However, as a sign of the times, we impatient students even shut down classes for a day to discuss what should be done about it. The first female students arrived in seminary at the same time I did. This opened up possibilities for everyone. That also brought opportunities and challenges that required care-filled dialogue to resolve. The faculty developed new programs in pastoral care that had never existed before. We learned how to make use of a new creation called a portable video camera. They opened up possibilities to experimentwith contemporary worship and multimedia presentations; things that were only beginning to emerge. I marvel at how all that has helped to shape the church we have become today. Now we are finding new ways for new times. I expect what is happening in our seminaries will also help our church and congregations to explore and discover how to be a church In Mission for Others in this time. 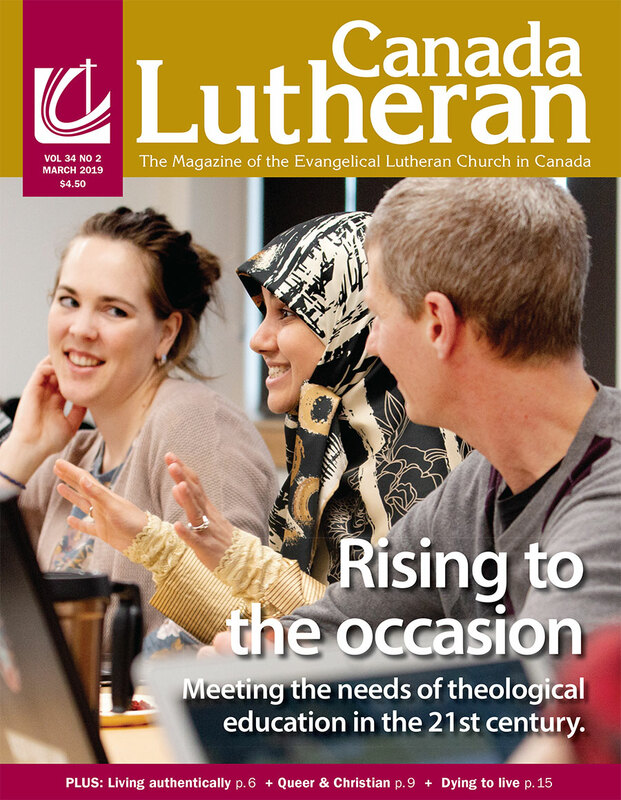 This issue also has two articles that will help readers to appreciate the significance of our growing understanding of creating inclusive community where there is an openness to sexual diversity: Queer and Christian, p. 9 and A labour of love, p. 22.